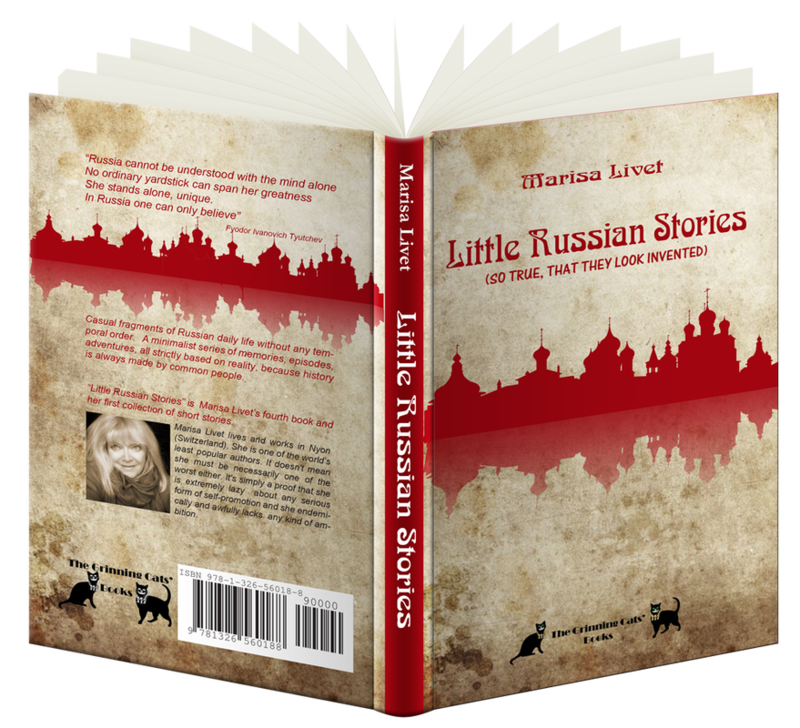 It's a collection of short stories, which have, as common denominator, the feature of being all about Russians and based on real facts. Actually there is very little fiction. In most of cases I wrote a literal description of true stories. In few occasions I adapted slightly a description or I shortened an event, for narrative needs only. The stories are presented in casual temporary order, like a voluntary backwards and forwards excursion in scattered memories. I became fascinated by Russia when I was still a child. Oddly the book which kindled my enthusiasm for that country was not a Russian one. I discovered Russia, at least in my imaginary ideal, reading 'Michel Strogoff: The Courier of the Czar', by Jules Verne. I was seven or eight years old at that time and I was a passionate reader. My next step was plunging into classical Russian literature and I dreamed of the world of Natasha Rostova, as Napoleon advanced in Russia. I felt moved by the vicissitudes of Anna Karenina and I fought with the difficulty of grasping 'The Brothers Karamazov'. All that helped me to build my little, yet solid literary background, but gave me information only on a Russia which didn't exist anymore, while I knew very little about the contemporary Russia, which had become Soviet Union. Only later, when I was largely adult, I realized that to perceive the spirit of a country it's necessary to learn its language and to deal with common people. History is a novel for which the people are the author.